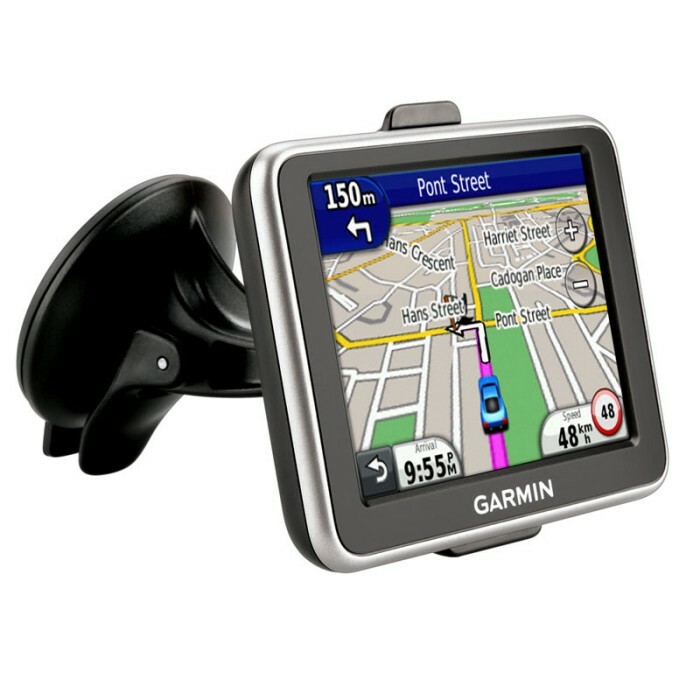 Simple to use, the compact nüvi 2240 sat nav packs high-end navigation features into an entry-level sat nav. Lane Assist uses arrows to indicate the lane you need to take for proper navigation, while Junction View provides a realistic view of road signs and junctions as you approach. It speaks street names and has preloaded maps for Western Europe (24 countries). myTrends™ learns and predicts your favourite routes based on time of day and your location and ecoRoute™ helps calculate the most fuel-efficient route to your destination. With myTrends advanced routing capabilities, nüvi 2240 learns your driving habits and recognises your favourite destinations to predict where you’re going. This saves you time manually activating a route on repeat journeys and refines your route-planning based on previous trips. So whether you’re driving to and from work or to a regular weekly event, your nüvi 2240 sat nav will help you get there on time. Avoid last-minute lane changes with Lane Assist. It shows you the correct lane to be in for upcoming junctions, avoiding last minute panic, guesswork or hesitation and giving you supreme route awareness. Junction view shows you realistic pictures of upcoming junctions so you get a clear idea of what is ahead of you. Garmin’s unique Cyclops™ speed cameras are built in, giving real-time, reliable and accurate alerts, overspeed warning and speed limit information as you approach one of hundreds of fixed, mobile, variable limit and temporary safety cameras. New or moved cameras are constantly tracked and the central database is updated by Cyclops daily. nüvi 2240 also contains speed limits for all major routes plus Garmin’s new speed limit reporting, which enables you to manually correct / update speed limit information and share any changes via USB. nüvi 2240 saves you fuel and money with ecoRoute - Garmin’s innovative green feature that calculates the most fuel-efficient route, tracks fuel usage and more. You can choose to take the “less fuel” option as a routing preference and when selected, nüvi will determine if a more fuel efficient route exists based upon road speed data and vehicle acceleration data. ecoRoute helps you develop more efficient driving habits, calculates trip cost and enables accurate expense reporting too. nüvi 2240 has an intuitive interface that greets you with two simple questions: 'Where To?' and 'View Map.' Touch the colour screen to easily look up addresses and services and get voice-prompted, turn-by-turn directions with spoken street names for extra route awareness with no need to look at the sat nav screen. Garmin’s new Trip Planner feature provides a multi-route preview so you can visually compare the available routes before selecting your preferred journey. The Where am I? emergency locator is a safety feature that can be very helpful if you break down or need a local service urgently. Simply tap the car icon on the map screen to get your exact coordinates, address and junction, contact details for vehicle recovery services and directions to your nearest hospitals, police and petrol stations.